I have to tell you about my new favorite snack. Garlic Roasted Peas. Crunchy, salty with lots of garlic flavor. Just like roasted chickpeas, these make the perfect snack and are also great on the go. Not only will this snack satisfy your snack craving, but it comes with a nice boost of protein and fiber! It’s also super easy to make. The spices can be changed to add whatever flavors you like. 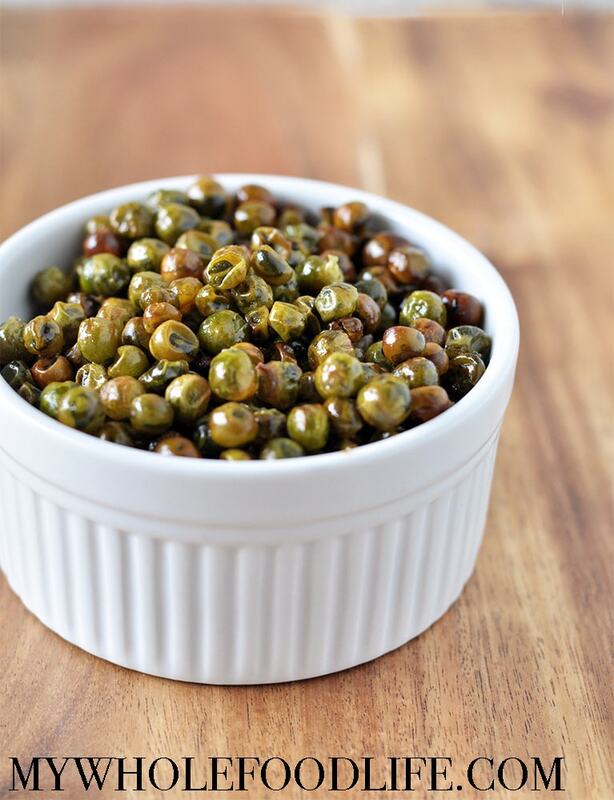 These Garlic Roasted Peas are vegan and gluten free. You will want to eat the whole tray of this salty snack! I used frozen peas and let them thaw overnight on the counter. Before making this recipe, gently pat the peas dry to remove excess moisture. Spread peas out onto a lined baking sheet. Bake for 45-50 minutes, stopping every 10 minutes to shake the peas around. Keep these stored in an airtight container. They should last at least a week. Enjoy! Do these peas actually get crunchy? I would have never thought of doing this...you are very creative!